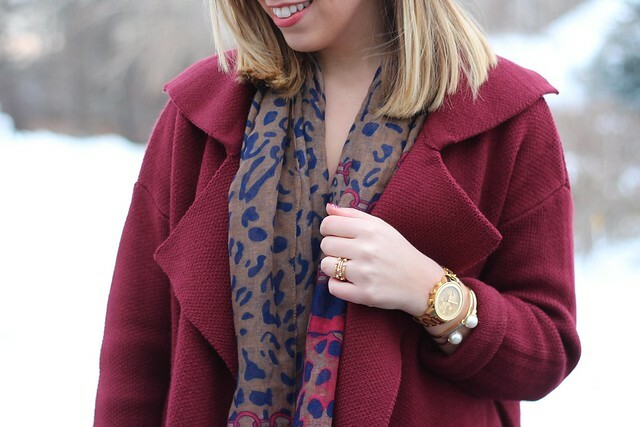 It may not be the most popular Pantone Color of the Year Choice, but I’m loving all things Marsala! When it was first announced I remember seeing a lot of disappointed tweets from people hoping for a brighter color for 2015, but I was pretty excited about it. 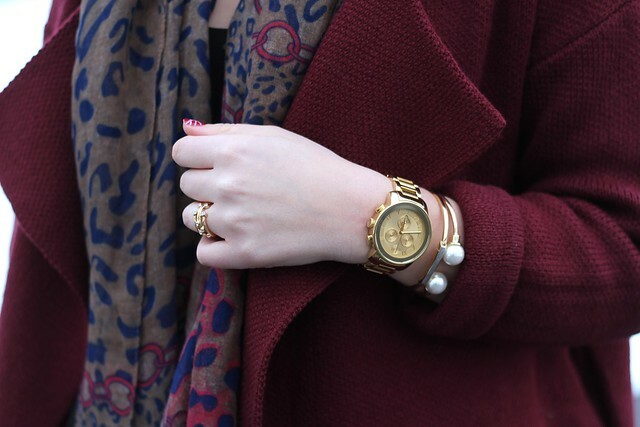 Wine, oxblood, burgundy & now marsala…all favorites for me, especially in the Fall/Winter!! You know what Marsala is also perfect for…all those girls that want to dress festive for Valentine’s Day, but don’t do pink or red! Now we all know I don’t have that problem, but in the weeks leading up to the holiday I love gearing up for it with fun outfits, makeup & nails…and since I can’t wear red and/or pink everyday this is a nice alternative! This outfit would be perfect for a casual Valentine’s Date or Galentine’s Night Out! 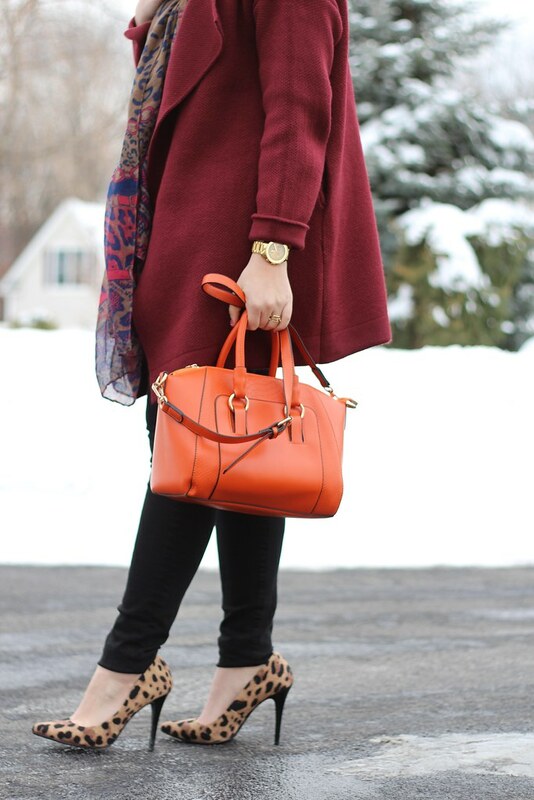 Pumps, skinny jeans & an oversized sweater is a Go-To for me when I just don’t know what to wear! Still don’t have any plans on February 14th?? 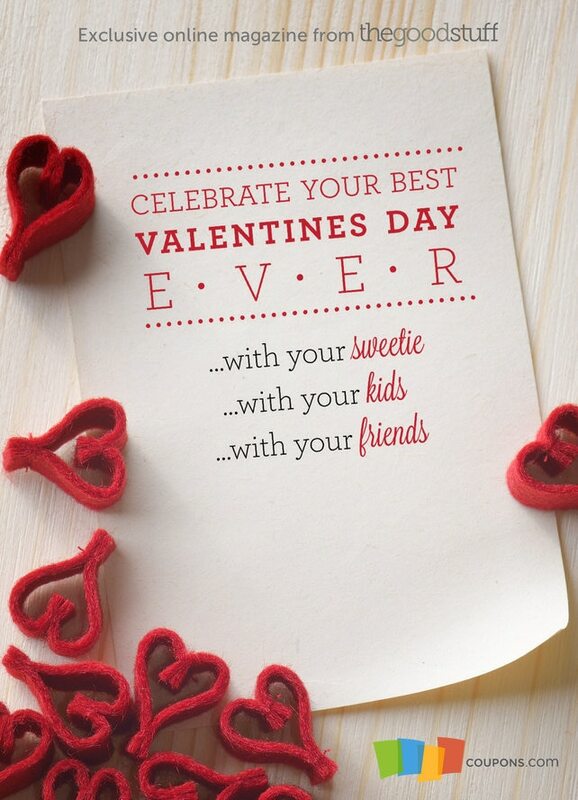 The Valentine’s Day Magazine on The Good Stuff by Coupons.com has you covered! It’s filled with recipes, fun Valentine’s Day date ideas, DIY projects to do with your kids, a Galentine’s Day Brunch menu & much more!! Read the mag below & while you’re there don’t forget to check out the Coupons.com Valentine’s Day Deals & enter the Share the Love Sweepstakes. Disclosure: This post was sponsored by Coupons.com, but all opinions are my own. Thank you for supporting brands that make this blog possible. 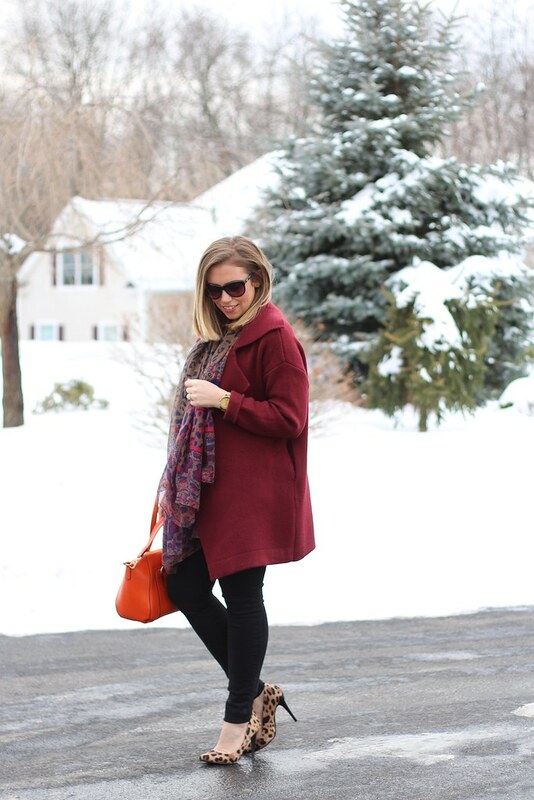 Yep, Marsala is definitely my color! Ha ha. So excited! And I love your coat, its the perfect shade! that scarf is pretty awesome too, I rarely wear scarves and I want it! Wine and Oxblood have always been My color and now Marsala is on that list. Lost it! My nails are witness as I never wear any color but from that palette!